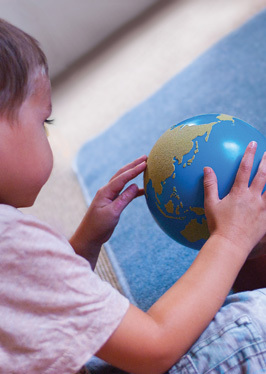 Montessori is founded on the belief that children are capable of self-development and that they will reach their true potential when they are helped to find their own path in an environment that is specifically tailored to their needs at each stage of their development. For most people the word Montessori tends to conjure up an idea of early years education but its scope is not limited to small children. In fact, Montessori offers an approach for life for children right through to adolescence to adulthood. It is not just about schooling it is also an understanding of how best to foster natural development in general. Montessori takes its name from the Italian doctor Maria Montessori who pioneered an approach to education based on her observations of children. This approach has now been active for more than a hundred years.